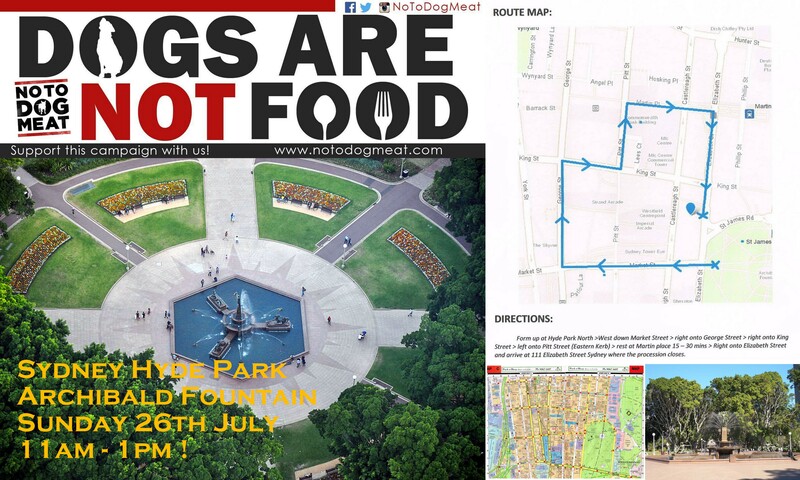 Please meet at Hyde Park Nth-Archibald Fountain on the Market Street side. There is parking in Domain Parking Station off Albert St & also in Cathedral Square off Cathedral St. The grass area at Hyde Park will be a good starting point if you are bringing your pooch. Here are 2 maps- the first is the route we will be taking approved by the police- Along footpath West down Market St, right onto George St, right onto King St, left onto Pitt St, rest at Martin Place 15-30 mins, right into Elisabeth St finish at 111 Elisabeth St at Korean Embassy. The second is a larger view of city & shows parking. Thank you everyone for your continued support, keep inviting & sharing this event. 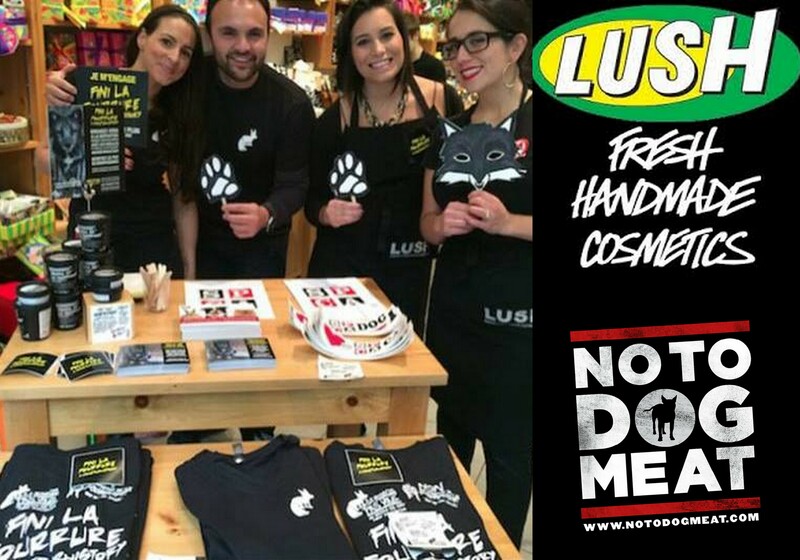 LUSH in Reading fundraiser this Weekend 25/26 July. 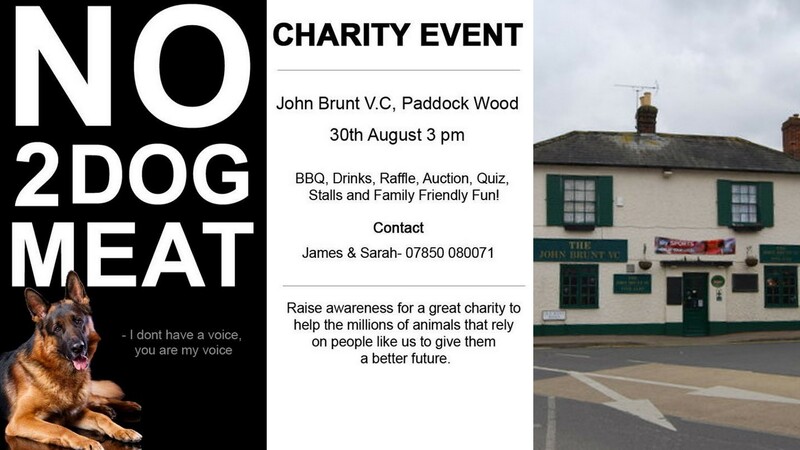 Please get in touch if you would like to hand out leaflets.